Following on from the Band’s triumphant tour playing their 2005 Debut Album in full and a further announcement of more dates for 2019, our editor Brad decided to divulge into what exactly makes this album such an important release for it’s generation. 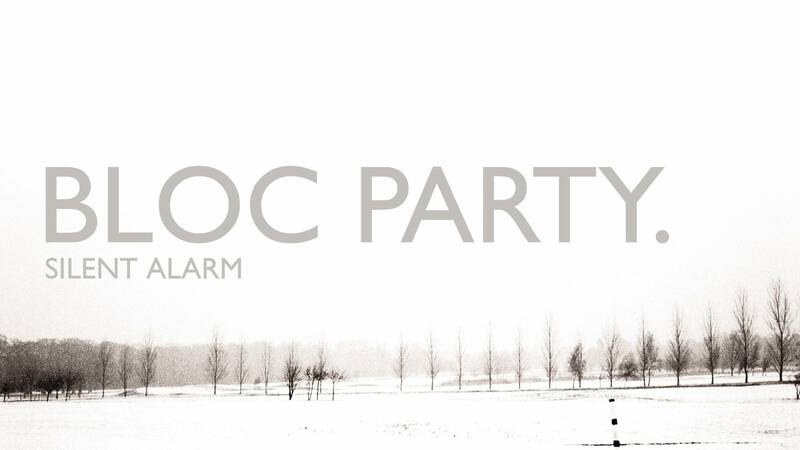 Whenever the question comes up of “what was the best debut album of all time?’”, one that consistently strikes a chord with me and by this point, becomes almost a natural answer is Bloc Party’s Silent Alarm. The album was engineered to appeal to the masses by combining multiple genres that the band had become known for from their demos and EPs released prior to their inaugural full-length release. Kele Okereke tapped into the core of a young emerging adult’s thought process documenting and addressing issues of such a calibre that it would take years until a band, or any artist for that matter would do again to such avail. The album was a beacon of hope for many, and for me personally. It was an album that took me through the transition to being an adult, akin to Banquet’s message “Turning away from the light / Becoming adult /Turning into my soul”. For someone who was experiencing such pivotal changes in their life, the overarching emotion and drive of each song seemed to weave and align perfectly for where I was in my life and it’s a record that no matter what, I frequently revisit weekly to tap back into those feelings – for better or for worse. So Here We Are and This Modern Love serve as some of the finest soundtracks to your first love with the culmination, or unintentional conclusion ‘Two More Years’ (a single released after SA’s release but not released on an album), being the perfect indie ballad to complete the trilogy of documenting the vunerable, innocent and hopeful discovery of love for the first time. Plans, Compliments and Luno are further evidence of the sheer musicianship that Bloc Party had for Silent Alarm (and continue to do so, seriously each album is sublime in it’s own right!) and Positive Tension happens to include one of my favourite 60 seconds in the whole of music – seriously that ending gave me goosebumps when I was still in school and after I just checked – it still does. As Kele, Russell, Justin and Louise gear up to take this sonic masterpiece on another set of dates to it’s ever adoring fans, I just wanted to say – thank you and god bless you, Bloc Party.